Tecan has increased application flexibility and walkaway times for genomics workflows. The launch of a new generation of 10 μl LiHa disposable tips will improve labware access on Fluent® and Freedom EVO® workstations, as well as offering more options for on-deck tip storage. The redesigned, 10 μl tips are 3.6 mm longer and have been developed to improve access to PCR plates and common 384-well microplate formats, helping to minimize dead volumes and waste of precious samples and reagents. 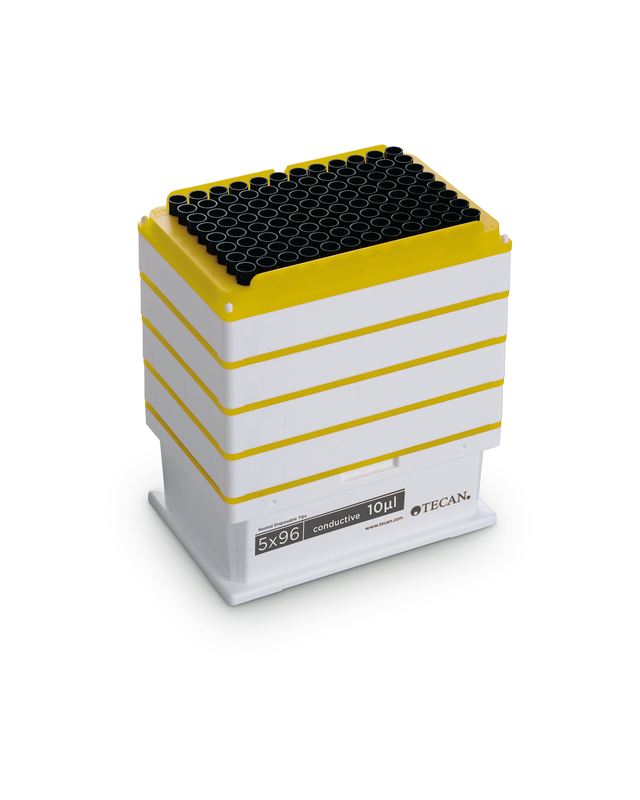 Ideal for genomics applications – such as next generation sequencing and human identification (HID) – the tips are available in both Tecan Pure and Tecan Sterile purity levels, with a choice of both filtered and non-filtered options. The new tips are available in both standard trays and SLAS formats, offering users more choice in terms of deck set-up and storage options, and nested options, maximizing on-deck capacities and walkaway times.